The best sea views are so awe-inspiring that you will travel the globe to search for them. They are scattered all over the world from Europe to North America, and Asia to the Pacific Islands, and as far away as Africa. Some of these beaches are famous while some are hidden from the heavy tourist traffic. Still, all of them offer stunning sea views that will take your breath away. There are numerous guides online which list the best sea view destinations and seaside holiday accommodation on the planet. This is our pick of the top five beach vacation destinations where you’d be tempted to can stay forever, while enjoying the intoxicating sea views. Horseshoe Bay Beach is world famous for its pink sands. As the name implies, the crescent-like bay has a magnificent view that is worth visiting. You could lie down and get a tan or do some snorkeling in its clear waters. Schedule a visit from November to March, if you like catch island’s cooler climate. The place could get crowded quickly whenever cruise ships unload their passengers. 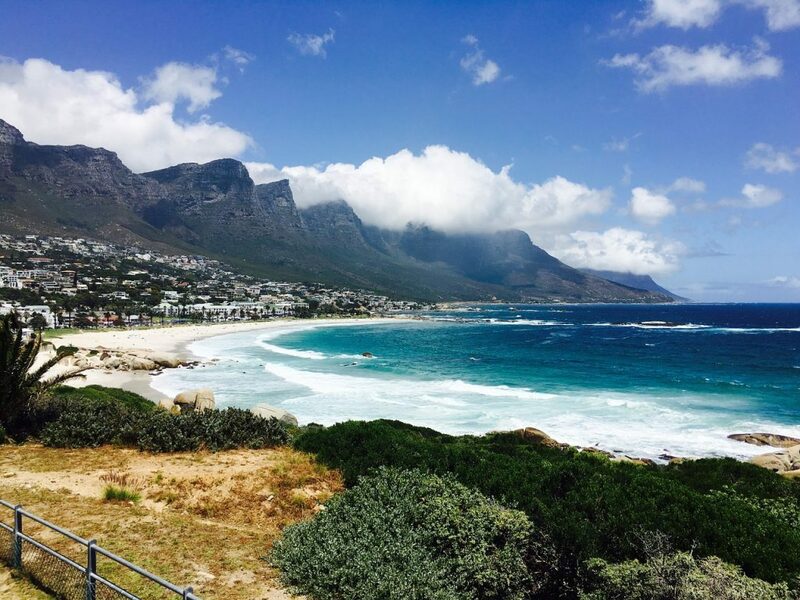 Camp Bay Beach is just seven minutes away from the South African capital of Cape Town. This sandy place offers a memorable view of the Atlantic Ocean. The Twelve Apostle mountain range background is also an awe-inspiring sight. Camp Bay is the place where the country’s crème de la crème relax and unwind on weekends. The beach is filled with locals and tourists during the months of November until January. Situated in Maui, Makena Beach features a spectacular view of the Molokini Crater. The Big Beach has one of the best sea views but it can also be dangerous if you’re not careful. Shore breaks are known to occur without warning. Please don’t ignore the warning notice posted at the island’s lifeguard stations. Despite the risks, Makena beach is perfect for surfers and picnics while watching boogie boarders at work. Located in Saint-Tropez, Pampelonne has a reputation as the playing ground of the rich and famous. The French beach owes much of its fame to Brigitte Bardot in the classic movie, “And God Created Woman”. The sea view is still a wonder to behold but it’s competing with countless scanty bikinis and sports cars. Spending a luxurious beach vacation in Saint-Tropez can dent your wallet but you get priceless memories in return. Rio Janeiro has two world-famous beaches to showcase but Ipanema has the mystic allure. Unlike Pampelonne, this Brazil beach was made famous in the 1960 song, “The Girl from Ipanema”. Aside from the wide expansive sea view, you can’t fail to notice the pale gold sand. In the background are the two mountain peaks simply known as “Two Brothers”. The place is also crowded with meager swimwear. The place is beautiful but make sure to leave your valuables at the hotel safe. There is not one place but several where you can enjoy the best sea views. Islands like the Bermuda and Hawaii offer an unobstructed view of the tranquil seas. Other beaches also offer a place to wine and dine in addition to the magnificent view of the sea. Aside from the places mentioned, there are plenty of beaches near you that could provide fantastic ocean scenery.